Federica Bocco (class of 2018) is a Communications student from Naples. She is also pursuing a minor in Humanistic Studies. Meet International Affairs student, current Italian chess champion, and member of the Italian National chess team Daniela Movileanu. A daughter of Portland, Oregon, 21-year-old Katie Kehoe majors in both Political Science and Italian Studies. She is the former president of the JCU Queer Alliance and current Vice President of Student Government. Katie also serves as treasurer for OLAS, and works as both Orientation Leader and Writing Center tutor. In December 2016, John Cabot University’s chapter of STAND (Students Taking Action Now, Darfur) donated € 400 to Nashama Alwatan, a Jordanian civil rights organization that Omar Abdel Latif, President of STAND, has been friends with for many years. On October 20-22, twelve delegates from John Cabot University’s MUN Society attended the Warsaw Model United Nations 2016 (WAWMUN 2016) conference, Eastern Europe’s biggest MUN, where the broad topic of European insecurity was discussed. Hanna Suni and Olga Plyaskina from the Professional Women's Association (PWA) presented two strategic opportunities to the seniors of the Strategic Marketing Management (MKT490) class and the John Cabot University Marketing Club. 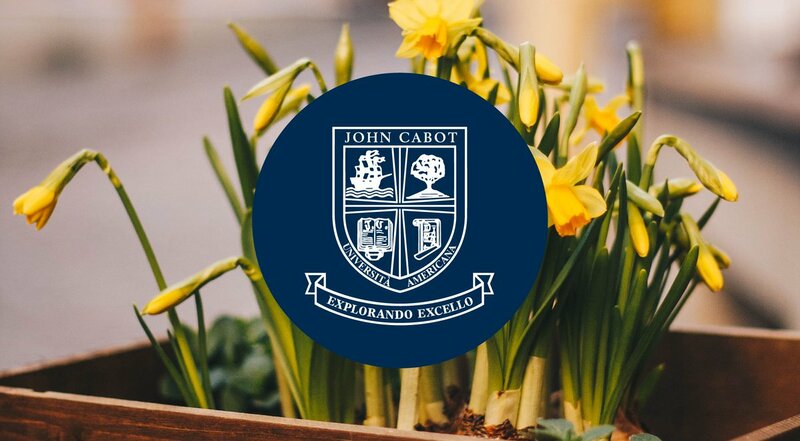 The John Cabot University community is pleased to welcome new and returning degree seeking and study abroad students to campus this fall. Through the Community Service Program, JCU students of all majors have the opportunity to make a positive impact on the local community while cultivating a sense of social responsibility, and experiencing personal growth. Rome's great new work of contemporary art was inaugurated on April 21, 2016. On April 13, Political Science Professor Pejman Abdolmohammadi presented "Modern Iran: Internal and International Challenges of a Strategic Country." Student Viktor Sobra Delseny, an International Affairs major from Perpignan, France, won an Honorable Mention at the New York Change the World Model United Nations (CWMUN) Conference.